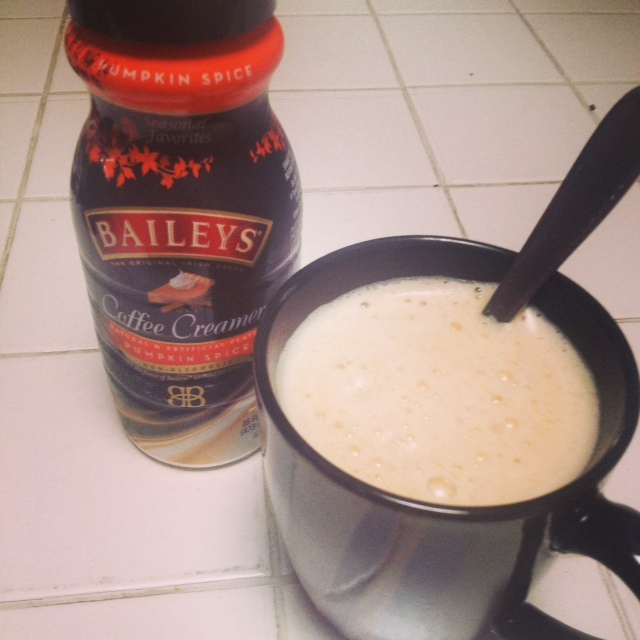 Bailey’s Coffee Creamers: Add some Flavor to your Coffee! One Reader will win a YEAR’S Supply! 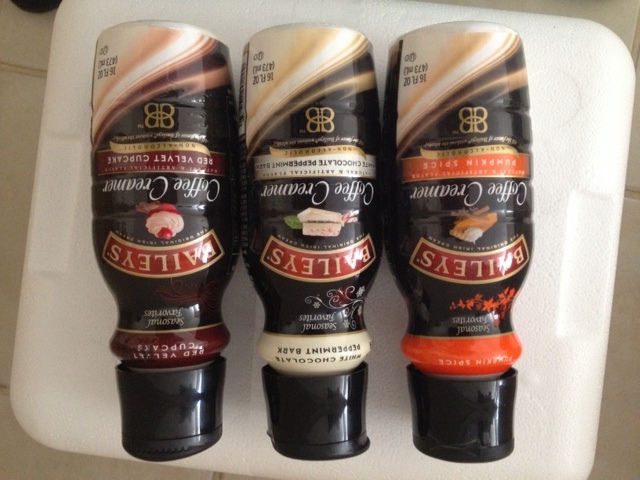 Did you know that Bailey’s have Coffee Creamers too!? These are perfect for the Holidays with all kinds of tasty flavors. Not to mention all of the flavors that they have year round!! I received a few of their newer Holiday Flavors. White Chocolate Peppermint Bark, Red Velvet Cupcake and Pumpkin Spice. I fell in love with the Pumpkin Spice. I mentioned recently that my new Favorite drink is the Gevalia Caramel macchiato K-Cup, well the Pumpkin Spice compliments this perfectly! So yummy!! They have so many other flavors to pick from too!! French Vanilla, Creme Brulee (I DEFINITELY need to try this one!! ), Irish Cream, Toffee Almond Cream, Caramel and many more! I am dying to try the Creme Brulee and Toffee Almond Cream. Sound so delicious. What is your favorite creamer? You can try Bailey’s at your local Walmart and most grocery stores!! ONE lucky reader will win a year’s supply (coupons will be mailed to the winner from Bailey’s). Enter below using the Rafflecopter. I would love to try every flavor! I can’t drink my coffee without creamer! This is a giveaway right up my ally. I see I’m going to have to go on a hunt for the red velvet! We have tried several Bailey’s varieties and have yet to find one we don’t like. My favorite is the toffee almond creme. White Chocolate Peppermint Bark. That sounds like it would be awesome in Hot Chocolate! I LOVE Bailey’s creamer flavors!! My favorite is White Chocolate Raspberry Swirl. the White Chocolate Peppermint Bark sounds like a nice Winter’s treat! Vanilla Brown Sugar sounds yummy! White Choc Peppermint Bark – sounds like yummy dessert in a glass! Vanilla Brown Sugar is awesome! I want to try the vanilla brown sugar! White chocolate peppermint bark is what I would love to try. red velvet cupcake! That one sounds delish!!! I like to try crème brulé. Yum! Wishi I saw more seasonal but the crime brûlée is great! My husband LOVES the creme brulee! I don`t think I have ever tried Baileys, but I use coffee creamer every day. I would love to try it! I have a great frosting recipe that uses some coffee creamer. It`s amazing! I would LOVE to the the triple sweet cream! It sounds yummy! Really like Bailey’s white chocolate raspberry creamer!